I saw this film on the first night of SXSW film festival. It's a solid documentary biopic of actor-turned-Governator Arnold Schwarzenegger. 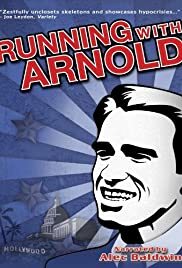 Running with Arnold develops themes that those who have seen the 1970s film Pumping Iron will recognize. The film presents a reasonable, but also polemical picture of Arnold. It is an entertaining, humorous and provocative film that helps explain his life starting from his childhood in small town Austria thru bodybuilding, acting, and finally political stardom. It concentrates more on his faults than his strengths. It's definitely a film worth seeing for those who want to better understand Arnold, but should probably be taken with a grain of salt. The film does tend to go over-the-top in some places. There are several sequences where they link Arnold to Nazi imagery in the context of trying to suggest that Arnold supports corporate control of government, much in the same way that Fascist ideology does. 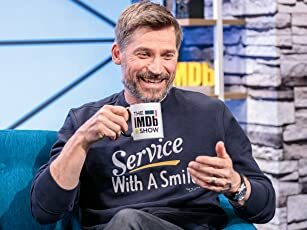 According to the director at the Q&A following the screening, even narrator Alec Baldwin was troubled by these sequences although he ultimately agreed to stay with the project. They also show images of Hurricane Katrina, the Clinton impeachment, the 2000 election and try to connect Arnold to events that really had nothing to do with him. This seems like guilt by visual association. These sequences weaken the focus of the film. They also seem like they can't quite decide whether they are portraying Arnold as a conservative ideologue or an opportunist or perhaps both. This is a solid, interesting, entertaining, funny film that could have been much better.